is one of the beautiful hill stations located amidst the verdant hills at an elevation of 2, 133 meters in the Dindigul district of Indian state Tamil Nadu. 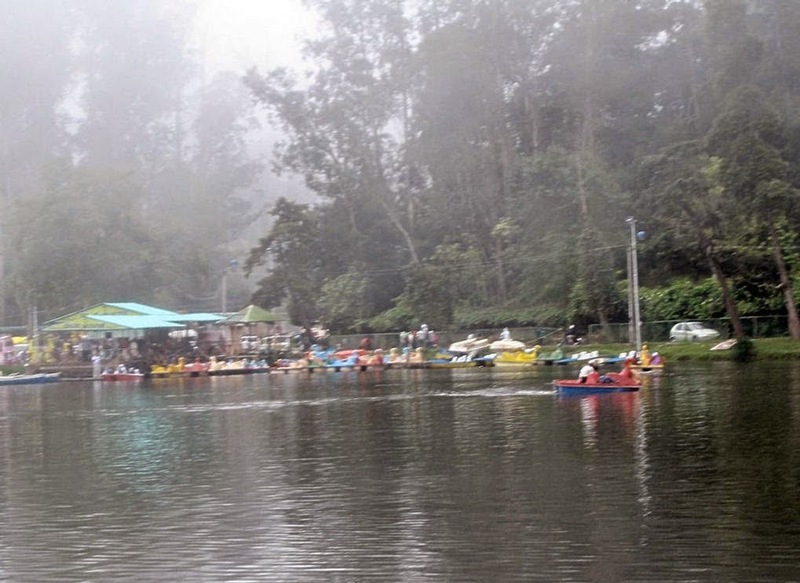 Kodaikanal meaning ‘gift of the forest’ has been a place of retreat and rejuvenation for many years because of its moderate climate and many places of interests. Gifted with appealing exquisiteness and sparkle, it attracts numerous travelers and tourism industry has been the major occupation of the people living here. Formed in 1863 by Sir Vere Hendry Levinge, it is prolonged across an area of 60 acres and is a manmade star shaped lake placed at an elevation of 2, 285 meters above the level of sea. 3.1 miles path that surrounds this beautiful lake is an ideal destination for tourists as a nature walk. Along with several boating facilities, one can also relish in cycling or horse riding. Fishing can also be done after obtaining permission from the Inspector of Fisheries. Located 2 km away from Kodaikanal Lake, Bear Sola Falls owes its meaning to the bears that used to come to this place for drinking water. It is a perfect spot for picnic surrounded by lush greeneries and also serves as a little trekking spot as one has to climb to reach this cascading fall. Kurinji meaning hill region and Andavar Meaning god is a temple dedicated to Lord Murugan. It is positioned 4 km away from the bus-stand and is famed for a flower called ‘Kurunji’ which blooms in every twelve years. Established in 1908, it is a botanical park named after H.D Bryant who set it. Noted for flowers, grafts, shrubs, roses and hybrids it spreads over an area of 20.5 acres and is situated at a distance of 500 meters from the bus-stand of Kodaikanal. It is famed for a 150 year old Eucalyptus tree along with a Bodhi tree dating back to 1857. About 740 varieties of roses and 325 species of shrubs, trees and cactuses adorn the beauty of this park. Previously known as Suicide Point owing to its 500 feet deep location, it is situated at a distance of 5 km away from the Kodaikanal Lake and serves as the point from where visitors can relish the majestic view of the Vaigai Dam and nearby environs. It is a set of three massive rock pillars standing atop a height of 122 meters and is located at a distance of 8 km from the bus-stand. It provides a magnificent vision of entire Kodai valley. Positioned at a near distance from the Kodai Lake, it is an ultimate destination for a nature walk and is named after St. Coaker. One can get a flamboyant view of the intact countryside through a nature walk in the picturesque spot of this place. Apart from these places, there are several other places of interest that attracts travelers in a large number which include: Dolphins Nose, Cascade Waterfall, Solar Observatory, Dolmen Circle, Berijam Lake, Pine Forests and lots of other places.